10 April 2019 5:14 PM . Despite being 47 years apart in age, the same sense of community and student well-being unites Geelong Lutheran College’s two campuses at St John’s Newtown and Armstrong Creek. “It was the vision of the College Council to have a shared identity,” Head of College Jill Lange-Mohr explained. The College’s St John’s Newtown campus has operated since 1962 while its Armstrong Creek counterpart celebrated its 10th anniversary on February 2. 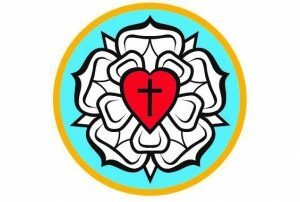 “We’ve got a wonderful long history of Lutheran education in the Geelong area,” Ms Lange-Mohr said. 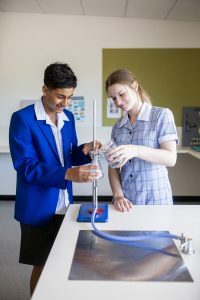 The Armstrong Creek campus recently lauded two further milestones, with the opening of its new technology precinct and gymnasium in March, followed by an informal, festive, birthday celebration later in the month. “You’ve always got to be planning ahead for growth in an area like Armstrong Creek and a school like ours,” Ms Lange-Mohr said. The new technology area includes maker space, design and food tech rooms, along with another room the College can retrofit for its growing population. The area also includes a dining room, where students hosted the College Council for a dinner ahead of the official opening. Geelong Lutheran College’s more than 900 Kinder to Year 12 students share a common identity, in which safety and academic excellence are paramount. “When people come to our schools they say it feels different,” Ms Lange-Mohr said. “The well-being of the students is a real priority for us.